The report is done (puh) and it’s time to share the results! Now that we got some perspective of everything we’re so grateful for this opportunity, again thanks to everyone making this happen! The study showed that the HiLight was very useful to the inhabitants of Nova Esperança, Terra Preta and Caioé. Below we have presented some of our results and conclusions. The HiLight cannot replace diesel generators, gasoline generators, or stationary solar panels. The reason for this is the need of larger electrical appliances such as television, refrigerators, and freezers. The microclimate in the communities is suitable for solar power. Shadowing does not constitute a problem. The study was conducted during the dry season. 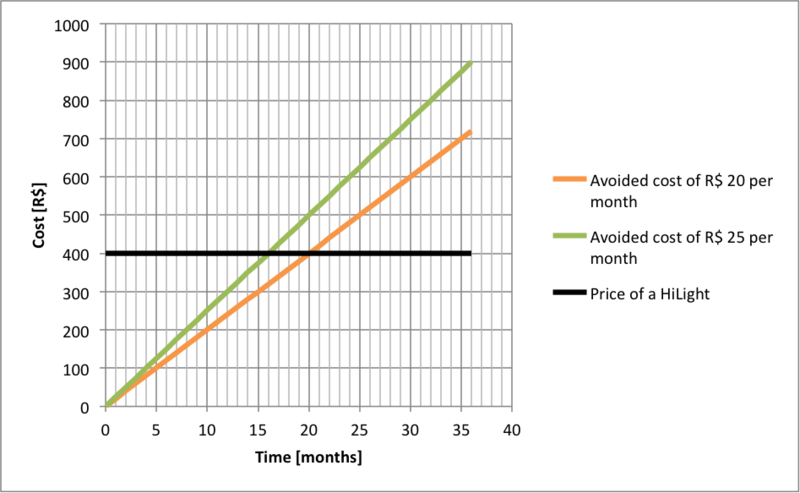 How humidity and rain affects the feasibility of the HiLight needs to be evaluated further. The HiLight will, in the three studied communities, replace diesel lanterns and single-use batteries. The HiLight was mainly used as a light source and to charge cellphones. The households participating in the study used between one to two liters of diesel per month for their diesel lanterns, responding to 2.62 to 5.24 kg CO2 emissions. All participants replaced the diesel lantern with the HiLight. The HiLight could also decrease some use of diesel generators. A mixture of AA, AAA and D batteries for different electronic devices was avoided in two ways. Firstly by replacing the flashlight usage with the light from the HiLight. Secondly when recharging batteries in the USB battery charger instead of using the single-use batteries they used before. 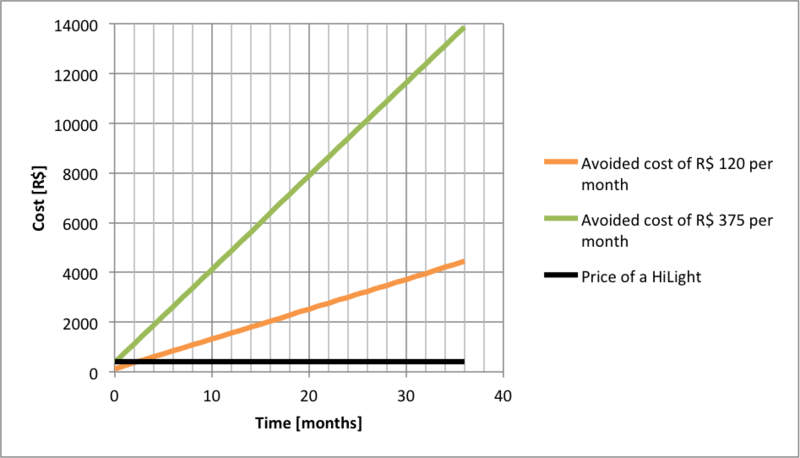 Between 12 and 36 batteries per month and household was avoided when using the HiLight. During the technical lifetime of the HiLight (3 to 10 years), it would replace between 432 and 4320 batteries. Payback time for households in Nova Esperança and Terra Preta. 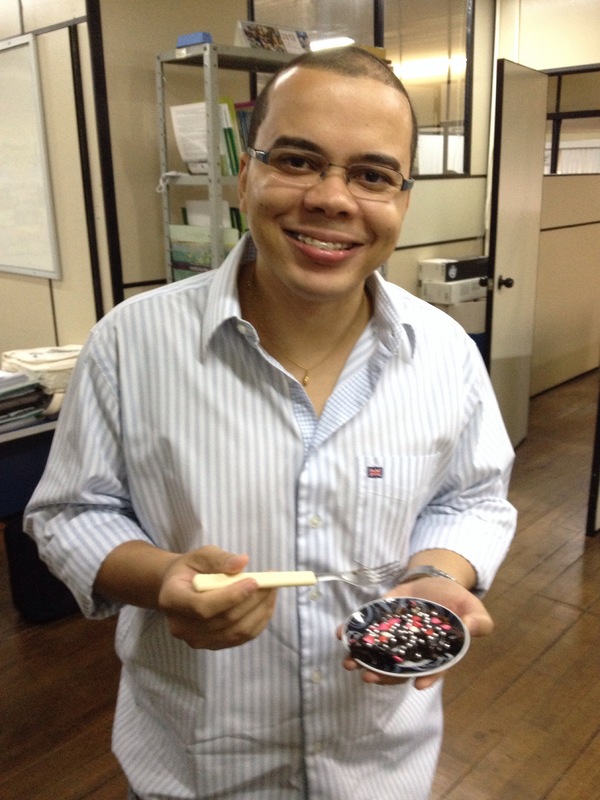 Payback time for households in Caioé. A benefit for the communities is that the HiLight works outside of the generators operating hours. It is therefore a complementary electricity source, which increases the redundancy. The HiLight also reduces noise pollution from diesel generators, decreases indoor pollution from the diesel lanterns, and decreases the fire hazard that the diesel lanterns usually constitute. 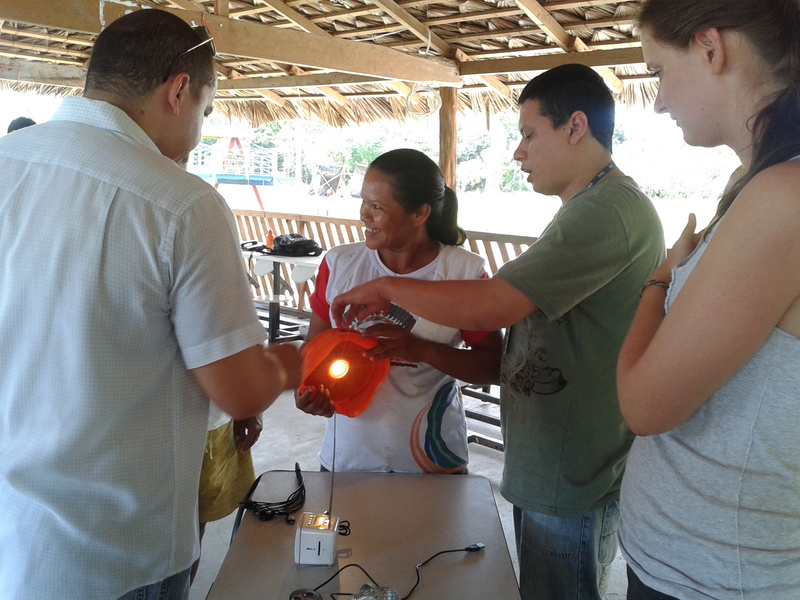 The HiLights were distributed to key people in the community. The participants in the study were frightened that the product would break and therefore they only used it themselves. Tendencies of selfishness were also shown. One HiLight per household is suggested, if the introduction of HiLights should to be beneficial to all the community members. The common opinion of the athours and CECLIMA is that the HiLights will be beneficial for communities until they get a continuous electricity supply from a stationary energy system, a solar panel system preferred over diesel generators. For some communities this might not happen until year 2023, and until then HiLight is a feasible solution. Combined with a battery charger to charge batteries for equipment that cannot be charged via USB (CHARGE!!! ), the environmental, social and health benefits will be many. For this use the HiLight is considered a feasible solution. 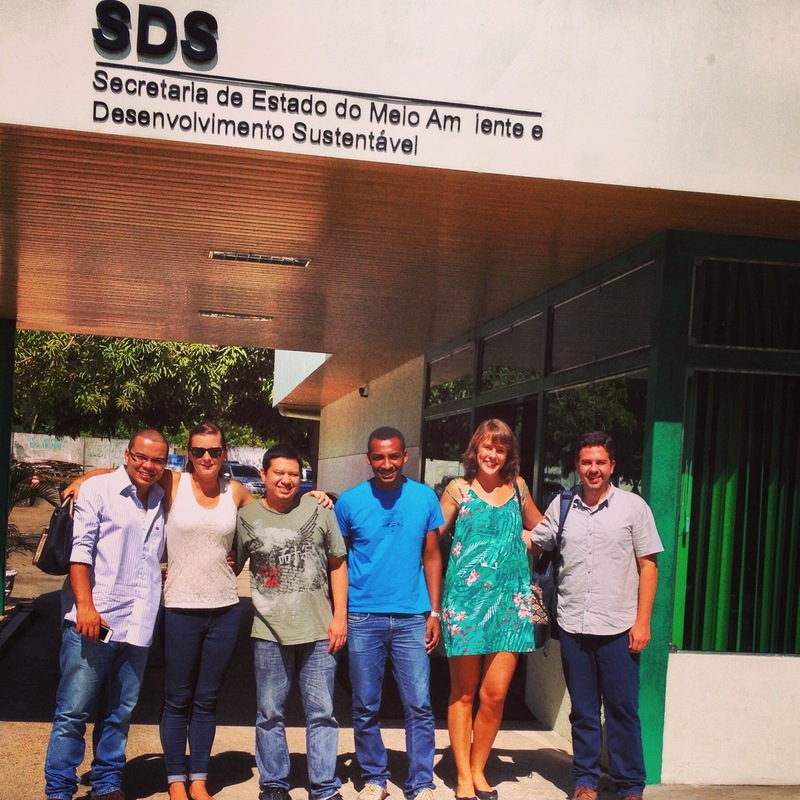 Today was our last day at SDS and CECLIMA. We want to thank everyone involved in the project! Time flies by! We are right now summarizing all results and writing on our final report. 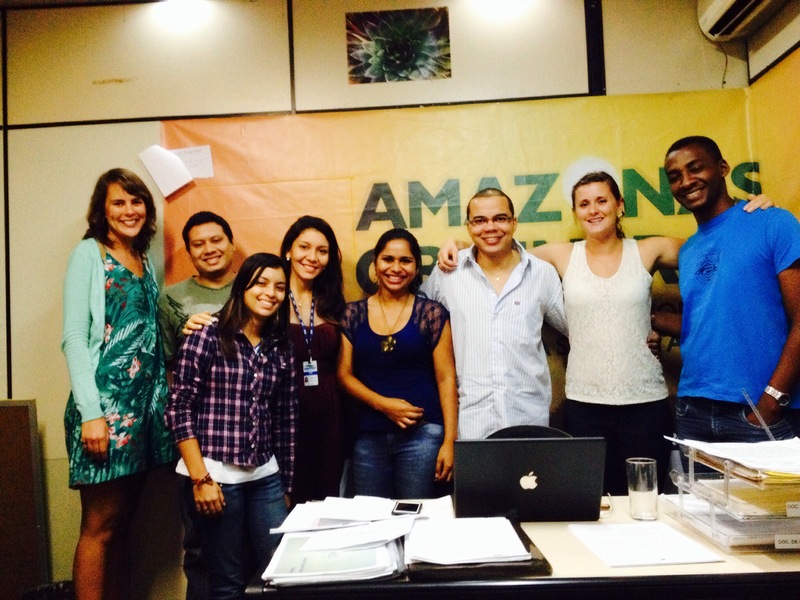 It has been some intense and very rewarding months in Brazil. This week we visited the last community that we work with and we can now start to draw conclusions that we will share with you in a few days. Our boat drivers house. Termites has started to eat the houses of the community. Recently, the government introduced a law with the purpose of preventing deforestation. 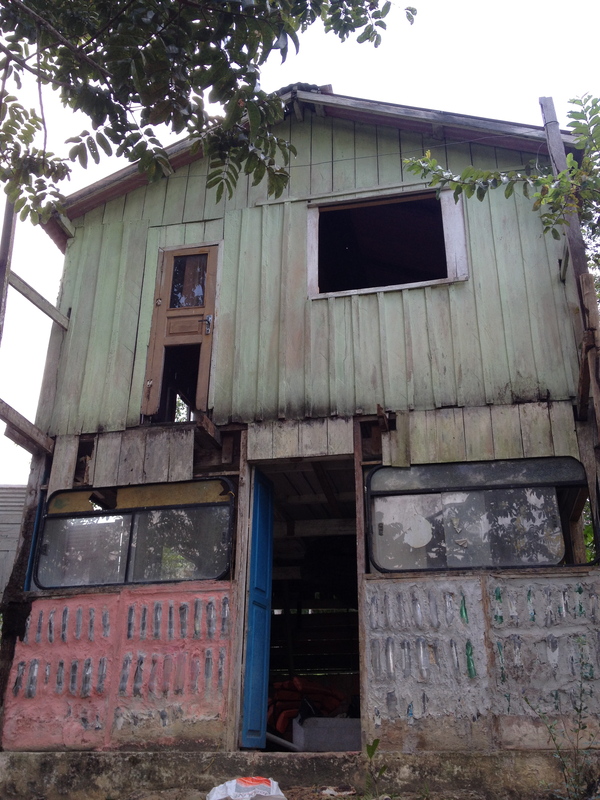 The law says that no community member can take wood from the forest to build a house. To express his disapointment to this law, our driver stopped trying to get rid of the termites and let them eat the house. To restore it, he collects plastic bottles that people throw in the river to make the house out of 100 % recyclable material. 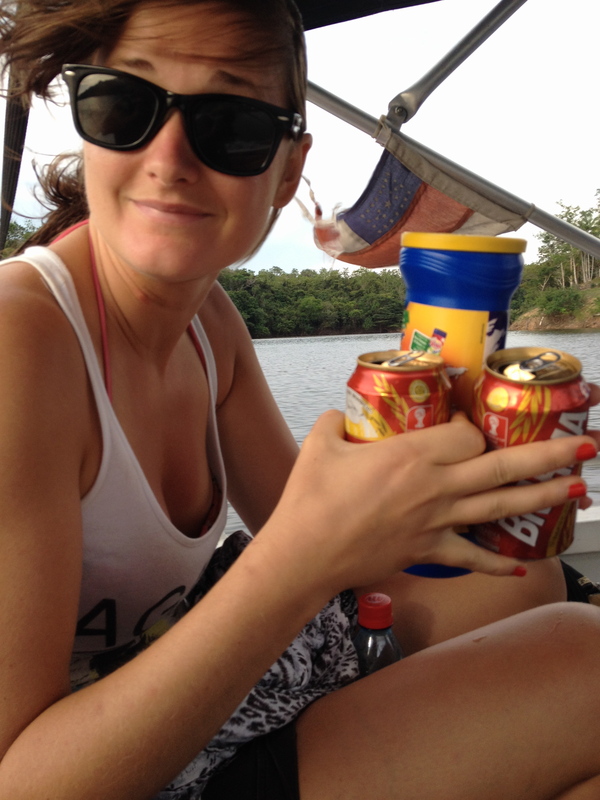 We celebrated our last day in the field with beer and chips, on the boat ride back to Manaus! 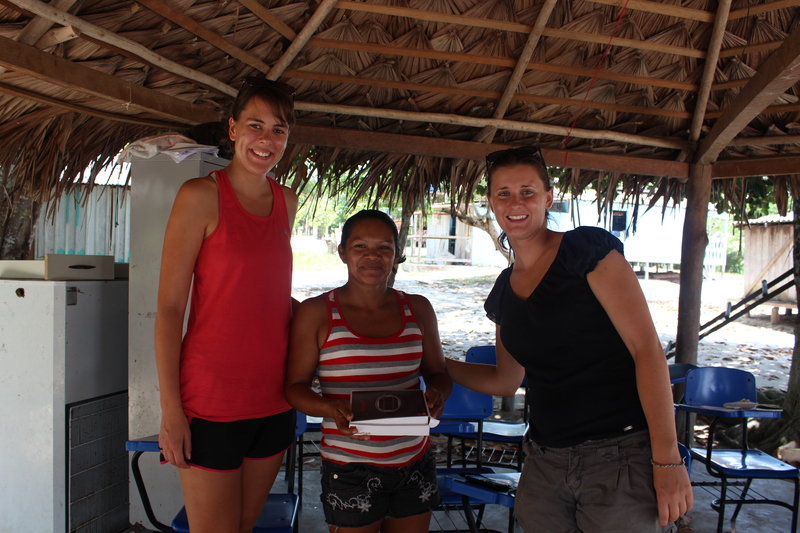 Last week we got to go back to two of the communities that helped us evaluating the HiLights. So far, everyone was very happy with the product and it had helped their families in various ways. Some of the benefits were not having to use diesel lamps. These lamps pollutes the environment inside their houses with black smoke which makes it hard to breath as well as making everything inside dirty. There were also economical benefits on not having to buy gasoline, diesel and batteries. 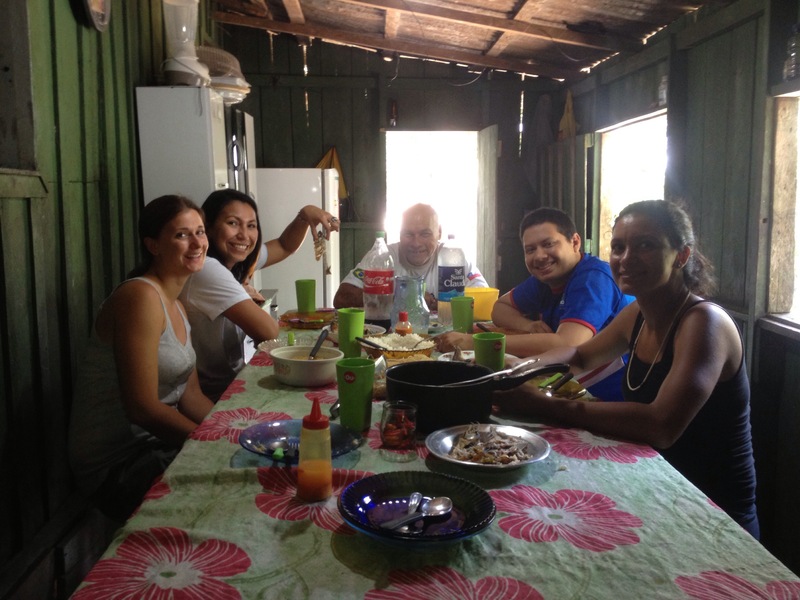 We got to spend one night at the leader of Caioé’s house. 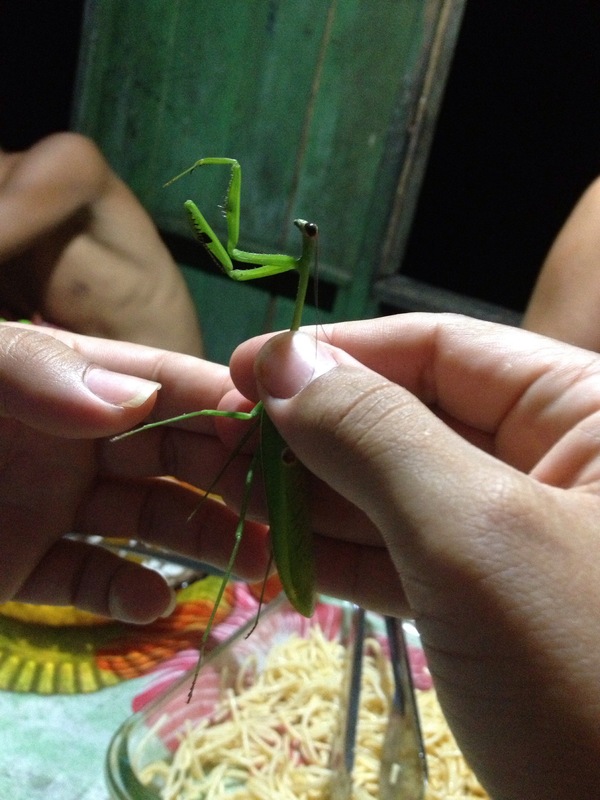 We saw some fantastic animals, as the praying mantis in the picture below, and had really tasty food. Going back to the communities! We are now preparing for our trip back to the communities in the beginning of next week. We are very much looking forward to leave Manaus, where the temperature now reaches 40 °C during the day and drops to 38 °C during the night. 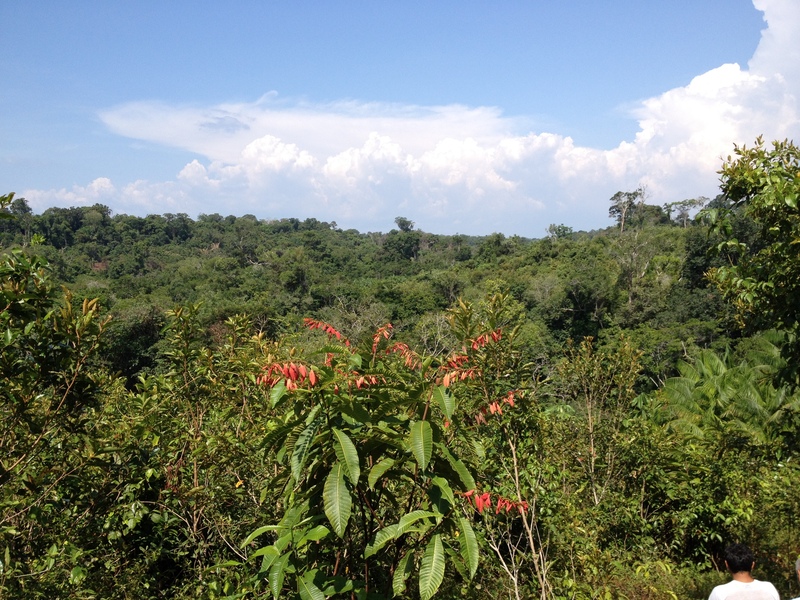 This combined with a humidity above 90 % makes it a little bit too hot for two swedes… The jungle is a little bit cooler ;) This time we will get the opportunity to sleep in the communities which makes it even more exciting. One of the communities prepared lunch for us. 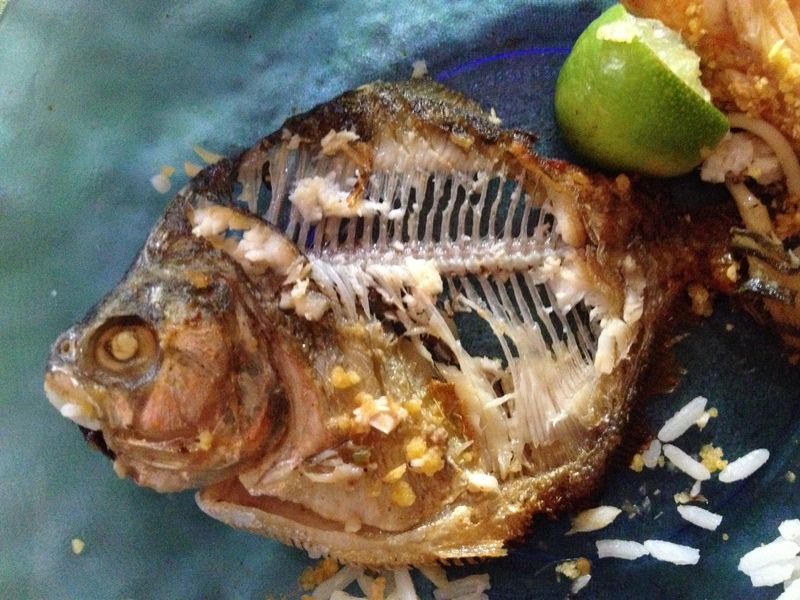 They served piranha (in Swedish “piraja”)! Really tasty! 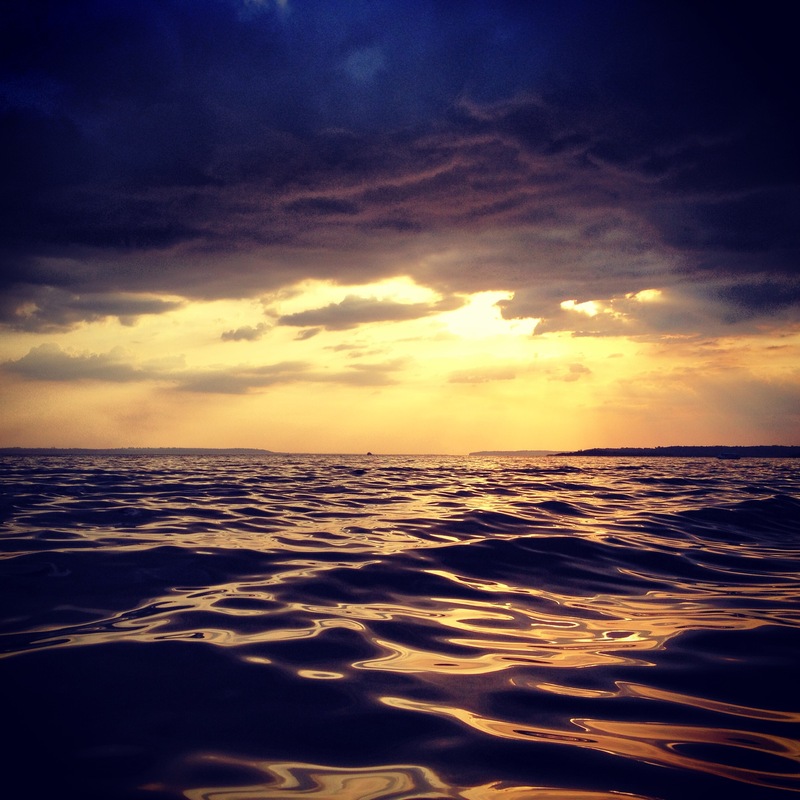 We hope that this trip will include as many beautiful sunsets, tasty fish, wonderful people and good experiences! Half of our time here in Manaus has now passed. 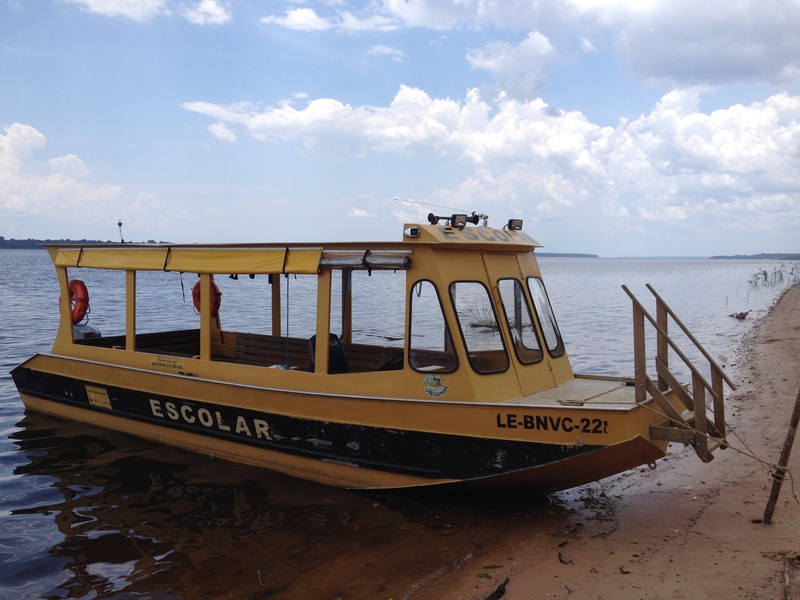 After just a few days here we heard about Balbina, located 100 km north of Manaus by the Uatumã river. It is often called the worst hydroelectric power plant in the world after a book published with the same name (In Portuguese “A pior concepcao de hidrelétrica do mundo”). In a region with more water than anyone can imagine, we asked ourselves the question why people working for CECLIMA (the State Center of Climate Change) and many biologists think that thermoelectric plants running on diesel and gasoline are better than using hydropower. To understand what they meant, we went on a study visit to Balbina. Balbina has five generators, an installed power of 250 MW (though the average yearly power is 112.2 MW) and was finished in 1989. 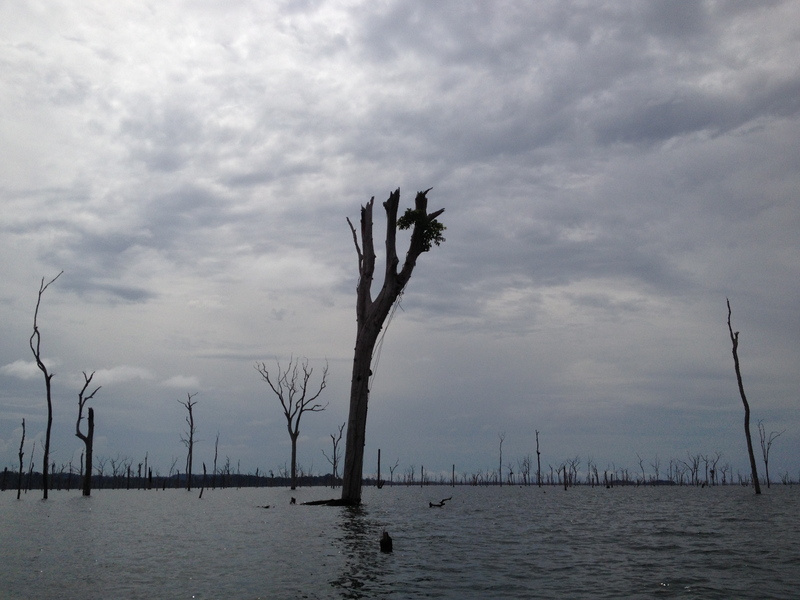 The dam flooded an area of 2360 km2 with rainforest. The reservoir and turbine outlets release far more greenhouse gases than the most inefficient coal power plant (proportionate to energy output)… This because the organic material is decomposed under water, with a limited access to oxygen. Therefore methane is produced as a product from the decomposition. One unit of released methane gas, is the same as 25 units of CO2 emitted, due to the fact that methane is a “stronger” green house gas than CO2. The main part of the release of greenhouse gases are from the turbines where the rotation of water and pressure differences releases methane to the atmosphere. Official Brazilian government reports consider only the emissions of greenhouse gases upstream of the dam, while approximately 39% of the emissions occurs downstream where turbines liberate most of the methane accumulated at the bottom of the dam reservoir. Another aspect of this construction is that the flooded area (which was planned to be only half as big and which is now the size of the Swedish province Medelpad) forced the movement of indigenous people that used to live there. Our guide claimed that the bodies of those tribe members who refused to move, never has been found. We haven´t found any government reports on this but there are rumors that the tribe members were gunned down and buried in mass graves before filling up the reservoir. 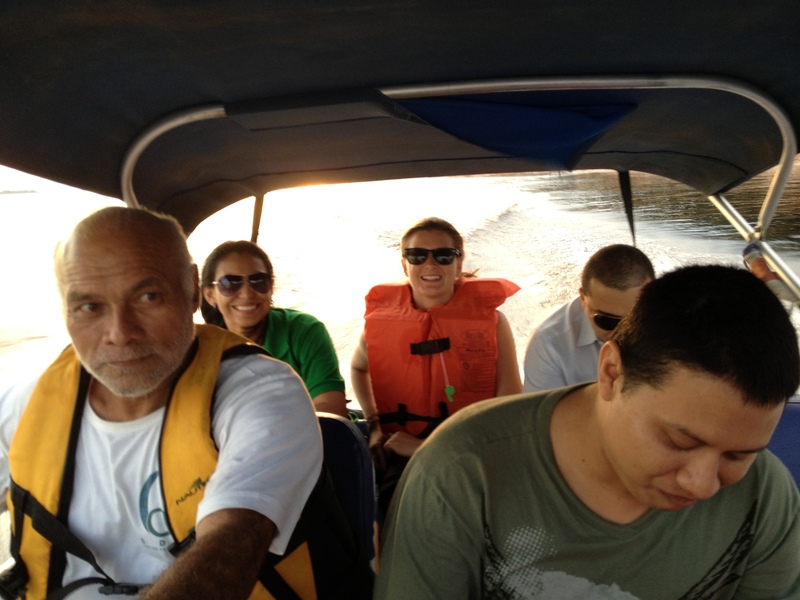 Another problem for hydroelectric power in the state of Amazonas is the topography of the land. The state is very (!!!) flat which means that huge areas, like in the case of Balbina, will be flooded if a power plant is built. We hope that our next post will be more positive! Take care all of you at home. Now we’re off to Capoeira class! Some people have asked us about the name of this blog. As two tall women, we sometimes get called Amazons after the female amazon warriors in greek mythology. 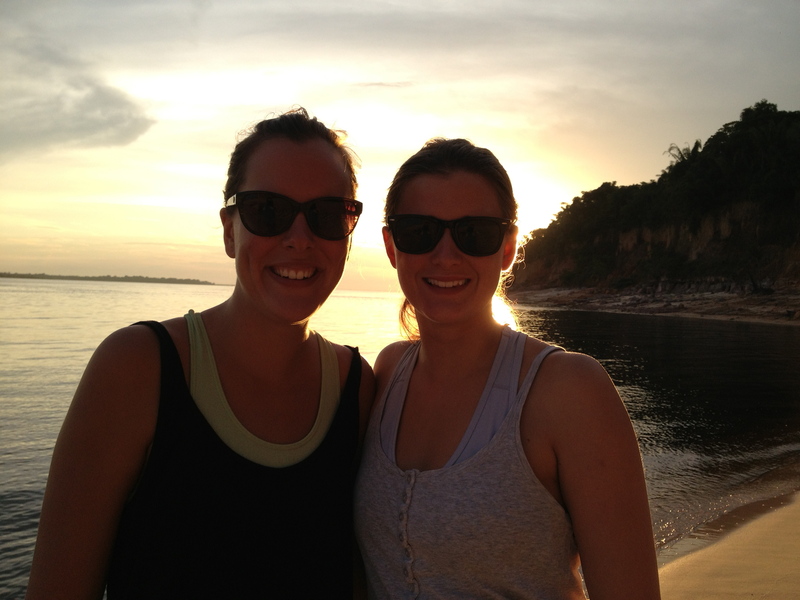 We thought it would be a catchy name for the blog since we are in the state of Amazonas. For more information about us, please click on "About us and our study".